If you could spend a day at a camp for families displaced by the battle to liberate Mosul, you probably would be drawn to the children. There are thousands of them—beautiful children made in God’s image. Samaritan’s Purse has staff in multiple camps comforting the children, distributing food to them, praying for them, and generally looking out for their good. WASIM* WAS REQUIRED TO GROW A BEARD UNDER ISIS IN ORDER TO GET HIS DRIVER’S LICENSE. HE SHAVED IT OFF AFTER FLEEING TO ESCAPE THE FIGHTING. HE’S NOW AT A CAMP WITH HIS WIFE AND FOUR CHILDREN. If you were there, you might want to ask the kids some questions, and curiosity would probably dictate that you ask them about the past two years of terror—29 months under the tyrannical rule of a few thousand ISIS militants. When ISIS first came into town, the group killed Wasim’s two brothers. ISIS suspected ties to the Iraqi military. The four children—two boys and two girls—lost their uncles. Under ISIS, Wasim had to grow a beard. No beard meant no driver’s licence or maybe 18 lashes and a fine. ISIS took his car anyway. They also took 40,000 Iraqi dinars, a kilogram of gold, and two cars from a surgeon in their neighbourhood. Hamal also pointed out that the foreign ISIS fighters—from Chechnya, for example—lived the high life. They had good food and air conditioning, he said. They planned to become suicide bombers. It is difficult to imagine the perversity of a society—and its chilling effect on young children— where the idea of blowing one’s self up in a mass murder is rewarded. Noorah* is Wasim’s eldest daughter, a little younger than Hamal. She was unimpressed with the enforced dress code of ISIS. ‘They forced the girls to wear the veil,’ she said. ‘I didn’t like the veil, so I didn’t go outside.’ There were also rules about wearing gloves and the kind of trousers that could be worn. Noorah also didn’t like when ISIS banged on the door monthly and demanded money for utilities from her parents. Because there were so many rules, people didn’t actually do much. You couldn’t watch TV, except ISIS TV—best to not turn the set on. If you were caught watching forbidden shows, Hamal said you would be fined 1 million Iraqi dinars and your satellite would be broken. The children were frightened to go out and play, and the parents were too scared to let them. They just stayed inside most of the time—all of them. There was little work to do—people lost their government jobs—and many didn’t have money to spend. They started going through their savings for basic necessities. Wasim was a herbal doctor, but ISIS restricted what plants he could use, so he just stopped. His family secured enough to eat by draining money they’d put away, but he said his neighbours did not fare as well. Some went hungry. There were some things they were encouraged to do. Every evening, they could go watch the glories of ISIS on big-screen TV in the centre of Gogjali: beheadings, war, etc. Kids could go to school to learn to shoot guns and use other weapons and get brainwashed with ISIS ideology. ‘What’s the point of that?’ Wasim said. His children have not been in school for two years. This family is just one of thousands who have suffered years under ISIS’s reign of terror. They will never get that time back. And they need time to heal and to recover from the rule of fear. But they are alive, and Samaritan’s Purse staff members are working in their camps every day. Our God is one who knows every hair on our head (and on our faces)—and He doesn’t just know things. He cares about us. Jesus’ interaction with the little children in Matthew 19:14 (‘Let the little children come to Me’) should confirm beyond all doubt that He dearly loves the small ones in our midst. Take a moment right now to pray for the children of this camp. God has made youngsters quite resilient—already many, but not all, can laugh and play.  Pray for their safety and physical well-being, for their emotional recovery, and for our staff to demonstrate just how great the Father’s love is for them. *Names changed to protect the security of these individuals and their relatives. 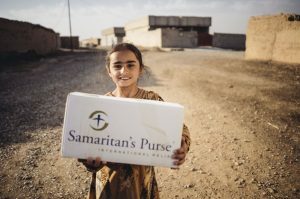 Read up to date news of how Samaritan’s Purse are helping.Read more about our Mosul relief efforts in a Q&A with one of our team on the ground.